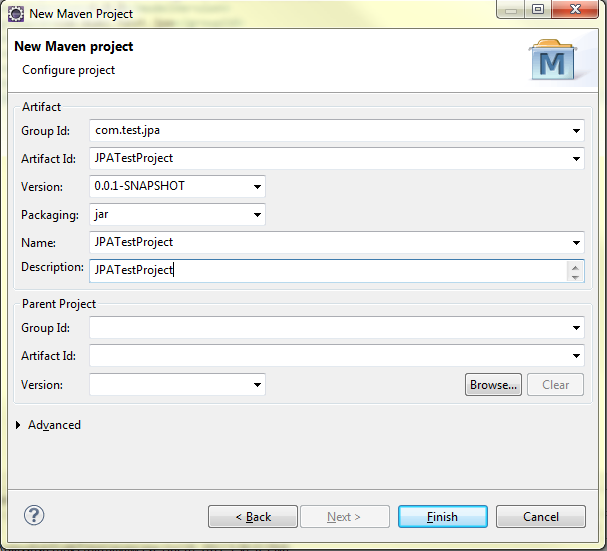 When I started with Maven, I couldn’t understand a thing, Using Maven creating an eclipse project was the most difficult thing for me. 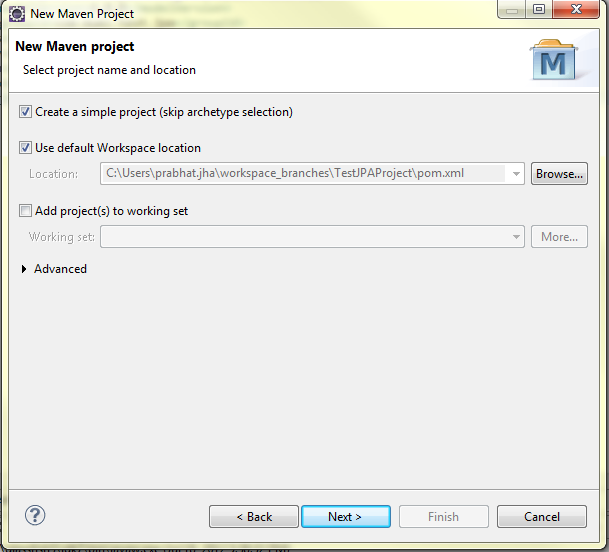 Today we will explore how quickly we can create a project using maven in eclipse. I am using Eclipse Indigo but steps will remain the same for Eclipse Juno (4.2). Browse to the directory where you have created your project, for e.g. C:\Work\workspace\JPATestProject.